I love Mexican food all year long, but Cinco de Mayo really makes me want to go all out and try something new. Taco night is a regular thing at our house, so I was so excited when my new issue of Saveur magazine arrived with a feature on the best California tacos. 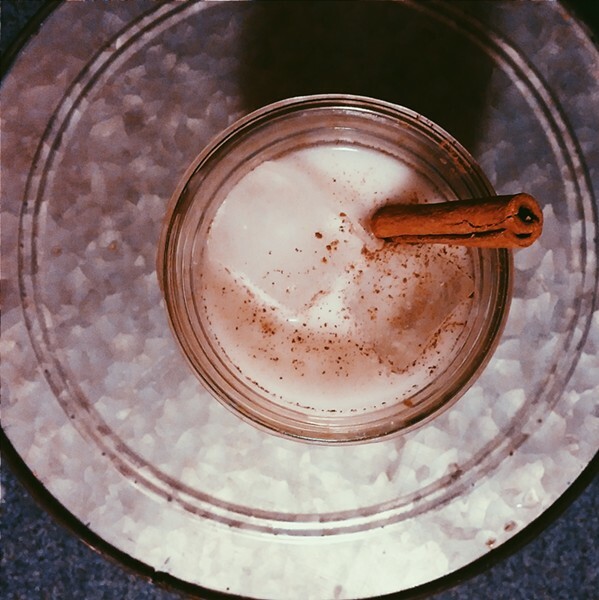 But as I scanned the article something different caught my eye: a recipe for a summery twist on horchata, a traditional cold and sweet Mexican beverage. Horchata is actually the name for several different types of traditional Latin American beverages, most of which involve soaking grains, straining the liquid and adding something creamy like milk, along with some spices. In Mexico, it's made with white rice, vanilla and cinnamon. I’d had it before and loved it, but I assumed it would be complicated to make. I was wrong! You do need to soak your rice overnight, but otherwise the process is quite simple. 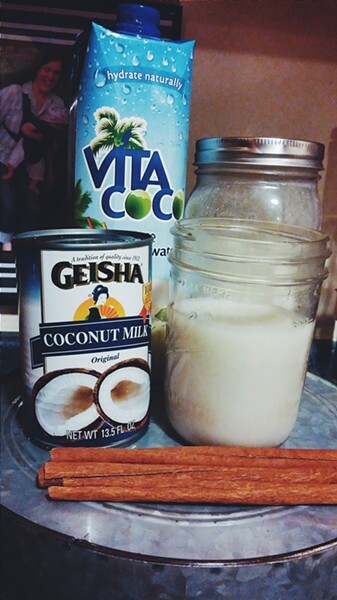 This recipe calls for both coconut water and coconut milk and the results are delicious! The kids liked straining the rice mixture through the cheesecloth and grating the cinnamon sticks. And they especially loved the taste. Cal, my 7-year-old, even wanted to put it on his cereal in the morning. I said no to that idea, but I will definitely be whipping up some horchata for our next taco night! Stir together the boiling water, rice, and about half of a grated cinnamon stick in a bowl or large jar. Cover and let sit at room temperature overnight, or up to 8 hours. The next day, transfer the whole mixture to a blender. Add the coconut water and blend until smooth. This should take about 3-4 minutes, and the mixture will still be a bit grainy. Strain through a cheesecloth-lined fine mesh strainer into a pitcher. You can strain more than once if you like, using fresh cheesecloth each time, to make sure you get rid of any tiny rice bits. Heat the coconut milk and sugar over low heat in a medium saucepan until the sugar is dissolved. This should take less than 5 minutes. Remove from heat and let cool. Stir this into the mixture in your pitcher. Serve right away in ice-filled glasses. Grate a pinch more cinnamon on top and garnish with a cinnamon stick.